Swinburne University of Technology has launched six Cisco Networking Academy labs for its students at the Hawthorn campus, in Melbourne. The $1.1 million investment helped it build three labs for higher education students and three for pathways and vocational education (PAVE) students. Each workstation allow students to set-up, control and enable a wide range of real world networking environments, from small to extremely large and complex networks, according to Swinburne. “The labs can be used to build large-scale broadband networks and provide industry-accredited Cisco training,” deputy vice-chancellor (academic), professor Duncan Bentley, said. “One of the unique features of these labs is Swinburne’s home grown software Gordon which fully controls all aspects of the Cisco hardware in these labs,” Bentley added. The university said the labs are a "long-term investment" which aligns to its Future-Ready learners’ pillar of Swinburne’s 2025 Vision and Strategy that plans to build on its strengths in STEM education through new course offerings, learning spaces and evolving industry engagement and partnerships. Cisco offers all Networking Academy courses for free, requiring universities get instructors trained and ensure they have the right equipment. 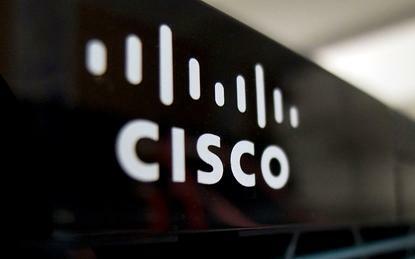 Cisco claims to improve career opportunities of those that go through its Networking Academy. “In Australia, we have already supported the education of 154,556 students through 116 partnerships, for 19 years Swinburne has been a valued partner in delivering this training,” Cisco Australia and New Zealand vice president, Ken Boal, said. Swinburne's Bentley said he is looking forward to more collaborative work with Cisco involving internet of things, smart campus and blockchain.